This is the inside neck reaming system I use - made by L.E. Wilson. I like the L.E. Wilson Neck Trimmer, because it also does a great job of "inside" neck reaming. It is available from their nationwide network of dealers. I made the orange mounting plate from 1/2" aluminum plate. 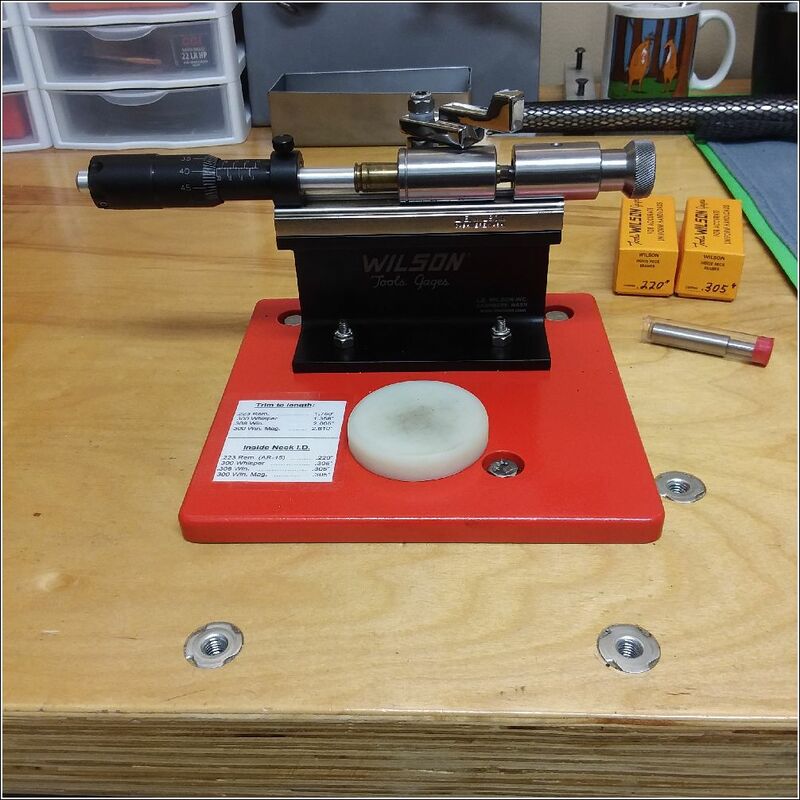 The 2.5" round, white nylon "Hockey Puck" is used as a stationary anvil to keep from always reaching for a mallet to tap cases in and out of the Wilson case holders. PLEASE NOTE: I DO NOT MANUFACTURE (OR SELL) THE ORANGE PLATE SHOWN ABOVE. I installed several threaded T-Nuts in the top of my workbench. 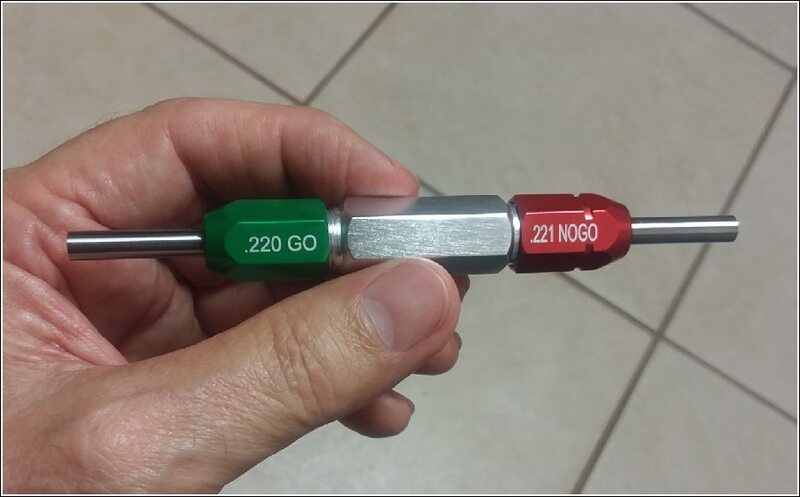 They provide steel threads for positioning 2 different shotgun presses and a variety of different reloading tools, when needed. This setup helps maintain an orderly reloading bench . . . . well, most of the time. I prefer to turn the "outside" of case necks from any rifle with a "true" benchrest (tight neck) chamber; because those cases require neck turning, and BR rounds are always loaded single shot. However, for rifles with a non-BR chamber, inside neck reaming removes the donut from inside the rear of the case necks; and it does a great job of making neck tension more uniform. I almost never crimp the neck for rifle handloads, because crimping can deform the bullet. I prefer to use "tight" bullet tension - especially for AR rifles. The AR-15 and AR-10 rifles chamber rounds with so much force, the inertia can pull bullets completely out of the case if a round gets rechambered a few times. Try it sometime . . . . but, be prepared to clean up a messy powder spill. Handloads for semi auto rifles (like the AR-15) require more bullet tension than any other type of repeating rifle. I don't like to crimp rifle case necks, because to some degree, it deforms the bullet. So . . . . I use different size pin gauges to accurately "measure" bullet tension provided by the case neck itself. EXAMPLE: After resizing semi auto cases for .224 caliber bullets, I use a .220" pin gauge and a .220" case neck reamer. This assures the MAXIMUM neck tension that grips a bullet as well as any crimped case. 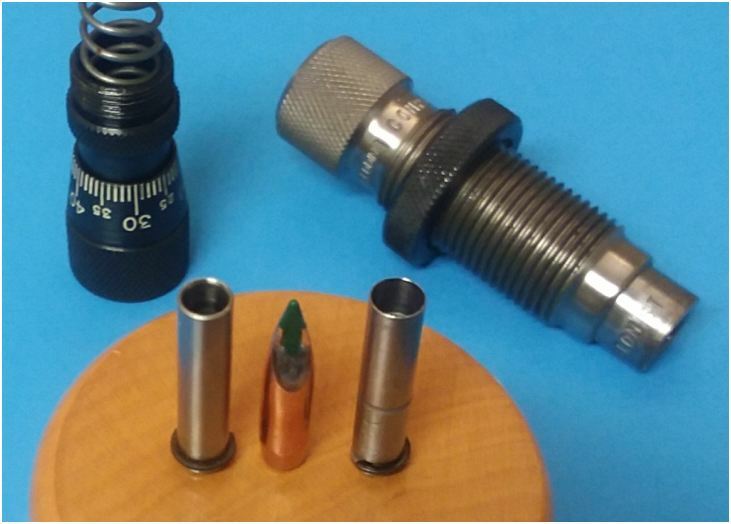 For the same caliber bullets in a bolt rifle, I use a .221" pin gauge and a .221" case neck reamer. That is the tightest neck tension to consider for any bolt rifle. For a .308 caliber hunting rifle, I use a .305" pin gauge and .305" case neck reamer. I use the Redding S-Type (Full Length) resizing die to resize the entire case. I use the .245" neck bushing because it allows my .220" pin gauge to barely fit "part way" into the case neck. Then use the same size .220" inside neck reamer to smooth and uniform the entire length inside the case neck. That removes brass that may have migrated forward from previous firings. As brass migrates forward into the neck, it thickens the brass which reduces the inside diameter of a case neck. This tighter surface inside the neck is called a "donut". Before adding powder, verify the inside diameter of your entire case neck is correct by slipping your pin gauge "all the way" into the neck. When you withdraw it . . . . you will hear a destinct "POP". That shows the inside diameter of your case neck is exactly the same size as your pin gauge. This measuring technique (using pin gauges) helps to accurately measure neck tension (in thousandths of an inch) by knowing how exactly much smaller the ID of a case neck is compared to bullet diameter. contact on the 69 gr Sierra MK bullet. Very important with tight neck tension. Be sure to use a VLD chamfer reamer on case mouths, especially when using tight neck tension. This minimizes the effect from downward pressure when seating bullets. It avoids shaving bullets, and it also reduces case run-out.